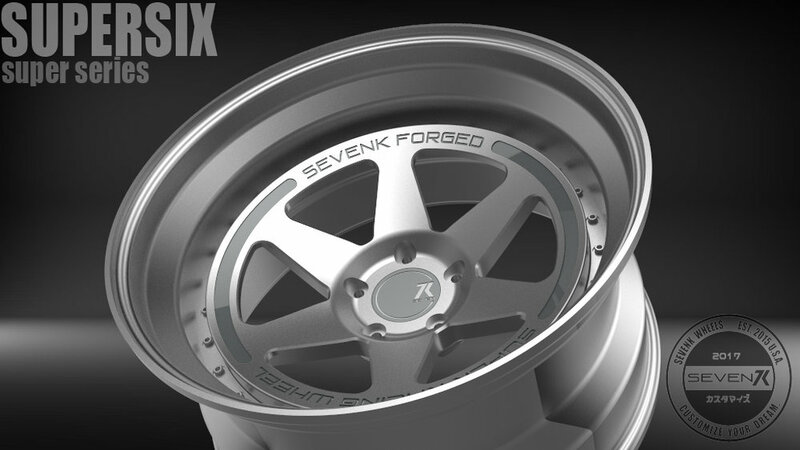 In June of 2018, ANTIPATHY and SEVENK began discussions of a collaborative range of wheels, designed and engineered and manufactured by SEVENK. This collaboration is meant to push the boundaries of style and design, the original SK-Nika was a 1 of 1 release and due to popular demands, we had to make something similar available for the public. From there the 6 spoke variation of the original wheel was born. The new line-up of collaborative wheels will be available for preview at the Stancenation & Slammednuff event during SEMA 2018 in Las Vegas. The annual SEMA show has brought us together in SIN CITY for an epic 3 week back to back car show extravaganza. Shout out to Stancenation and Slammedenuff for the great shows. "HIN Denver 2018 SEVENK coverage"
Audi A7 Sitting with air ride on staggered SK-Nova’s, when laid out Eddie's Audi demands attention.